Next month my community book club celebrates its one-year anniversary! Initially I expected this group would simply provide me the opportunity to read a few good books, meet new people and enjoy adult conversation. Yet among this diverse gathering of grandmothers and singles, religious and non-religious, blue and red, Patriots and Giants fans, something unexpected happened, I found myself… again. Looking back, it’s abundantly clear that while serving the church and shining the light of Christ, I didn’t notice my own light was slowly dimming. This happened for a few reasons, but one was that the church became my sole source of community. I soon learned that authentic community beyond the church was as valuable as experiencing authentic community within the church. When I connect with a community group, it is important that it is not dependent on my appointment as a pastor. That it is a place where I can be a member and not necessarily the leader. A community that has diverse perspectives. A place where I can be authentically me. So, in this book club, with a group of strangers who would quickly become friends, I received the gift of authentic community. I was reminded that in the giving and receiving of love, I am heard, seen, appreciated and even celebrated for who I am, not because I am part of a family unit, or because I am a spiritual leader, but just because I am me. We are made for community. Hebrews 10: 24 -25 reminds us, “And let us consider how we may spur one another on toward love and good deeds, not giving up meeting together, as some are in the habit of doing, but encouraging one another—and all the more as you see the Day approaching.” How do you foster authentic community? Whether you are new to the area or a long-time resident, investigate the groups and organizations in your area and check one out. Sing? Join the community choir. Love exercise? Try a spin class at the YMCA. Desire to paint? Pick up a class schedule at a local art store or community college. Love serving? There is probably a non-profit in your backyard. Make a community connection that feeds your soul. 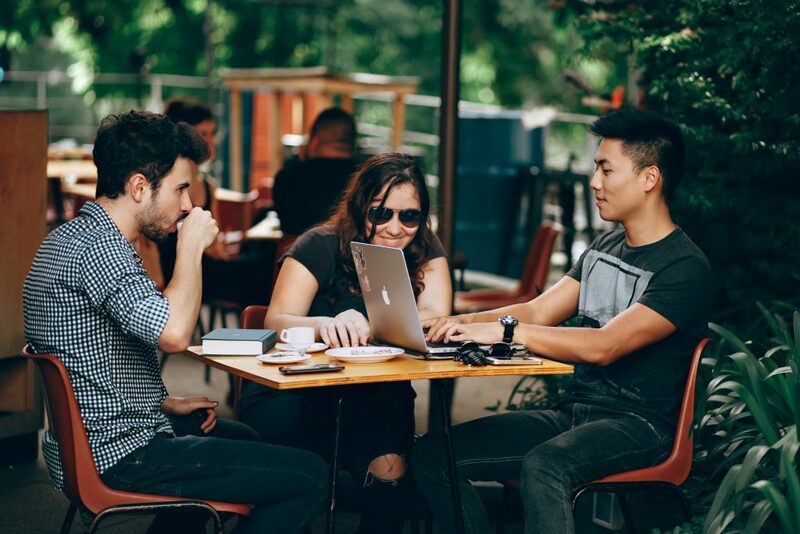 When developing a connection with those in your area, new people are typically more interested in checking out new small groups, rather than long-established ones. Invite your church to consider how they might create a “third place.” A “third place” is a social gathering separate from the two usual social environments of home and the workplace. What type of “third place” could you offer in your community? Dinner church, community garden, a co-op work space, coffee house? Too often small groups become centered around one leader who has a particular learning style and/or topical interest. With shared leadership everyone has a chance to lead, and the group continually experiences something new. Offer yourself freely and truthfully to the other. When you are authentic yourself you may just experience the authentic self of another. And it is often in the moments of vulnerability you really get to know who you are. Laugh, a lot! Eat new foods. Don’t just read religious books. Take a field trip. The Christian life in community is one of joy. Next time my book club gathers we will again open a book and ourselves, and I will again thank God that I am found. With this group I am reminded that I am fun, a good friend, a leader and community organizer. And my prayer is that God would help me be my best authentic self each and every day. Amen.